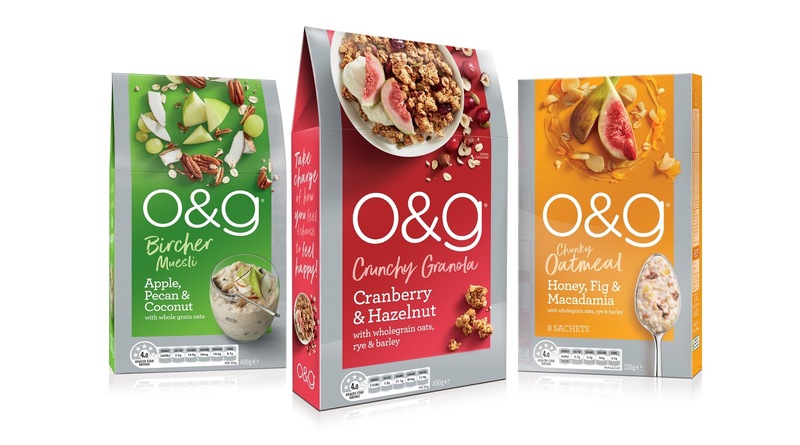 When o&g was launched in 2013, AKA was challenged to develop packaging ‘to sell oats to people who don’t like oats!’. 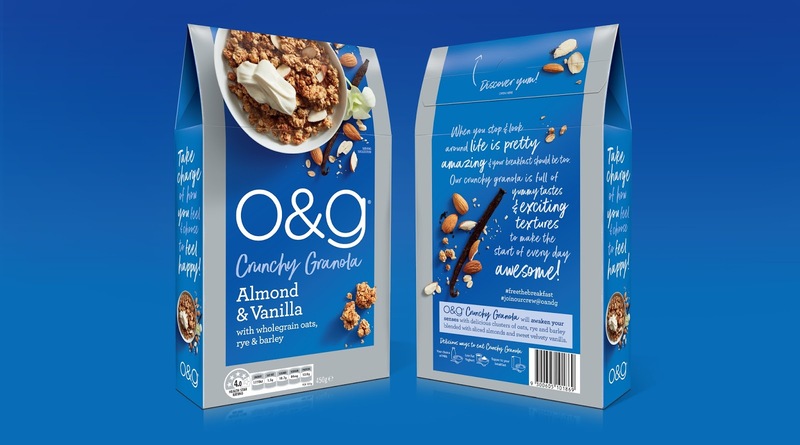 At the time, o&g was unique to the market and provided a different offering to other oats products in the breakfast category through its flavour profiles and consumption versatility. 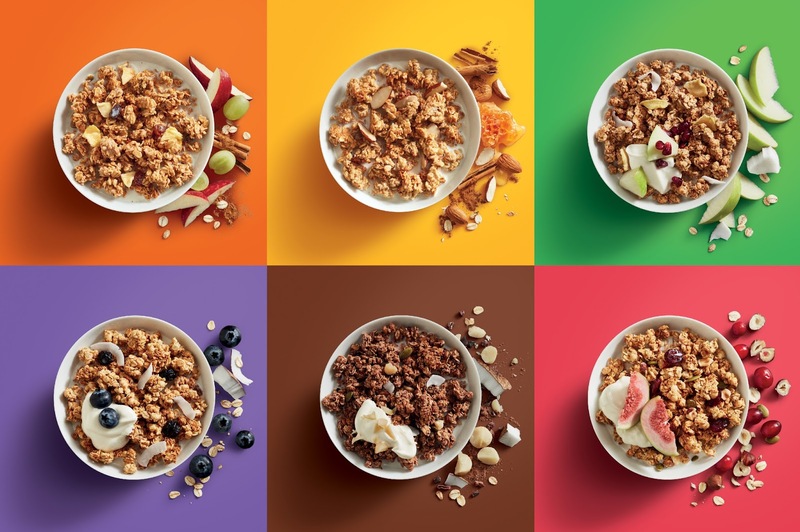 Since then, the key consumer has evolved becoming more savvy and expectations have risen with more accessibility to new flavours and trends via social media. 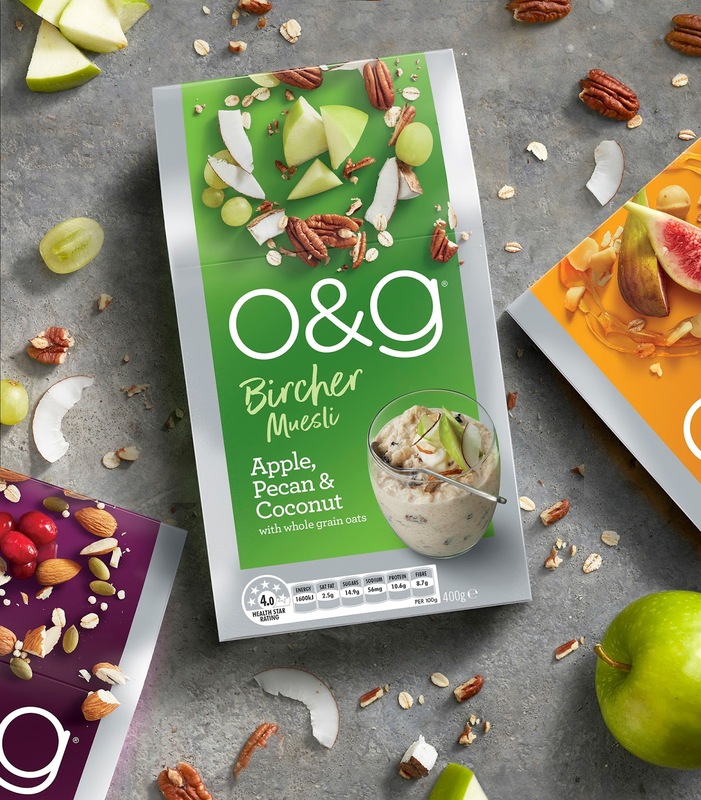 o&g needed to take a leap forward to ensure they are keeping up with consumer expectation and be on the forefront of innovation to stay relevant. The role of vibrancy was key due to the need to disrupt in the category and highlight the delicious ingredients. Our focus was on achieving maximum enticement through photography given the key driver for our target segment is taste. 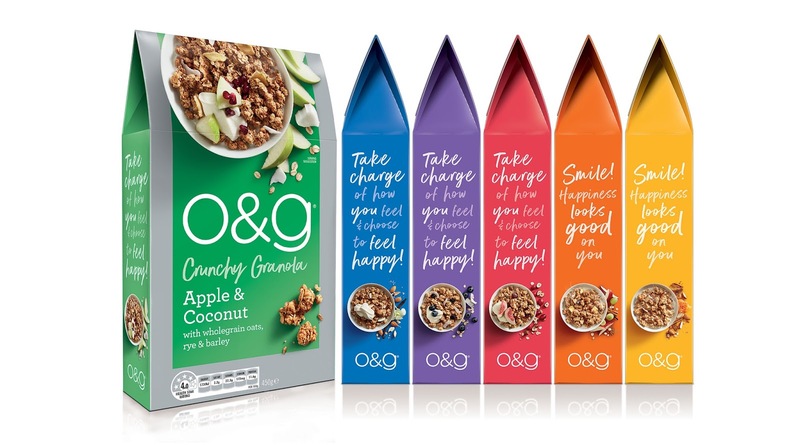 The design needed shelf stand-out to break through the clutter and clearly position this as an offer for SINK/DINK foodies who were tired of the same old bland and boring breakfast! 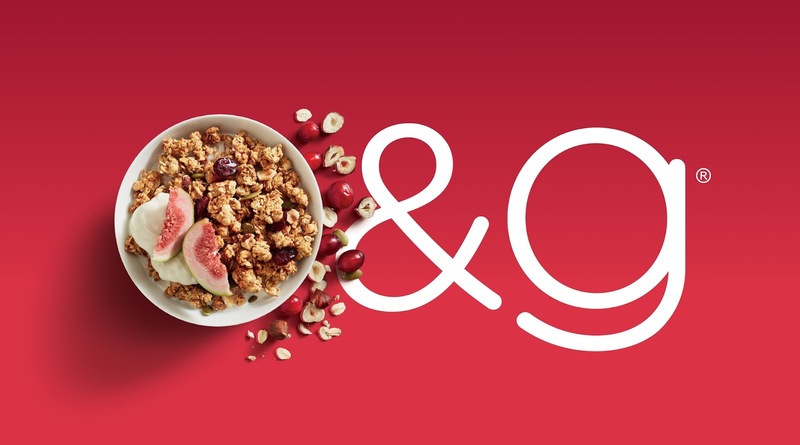 Over the brand’s short history, the positioning and product offering was diluted through the expansion of the portfolio. We needed to re-assess the o&g portfolio to strengthen our key point of difference to its competitors and redefine the tone of voice so it is more relevant to our key consumer. So what does the o&g stand for? 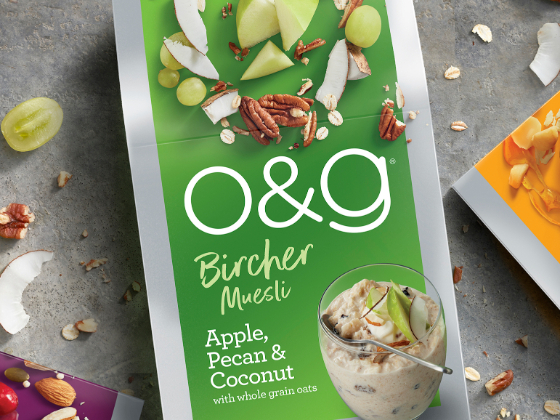 It's all about yummy tastes and textures and unexpectedly craveable combinations of real ingredients, or as we like to say ‘oats with a twist’!.